Bowl season is back, and your Powercat Gameday headquarters in Phoenix for the Cactus Bowl is the Tilted Kilt Pub and Eatery in downtown Phoenix! 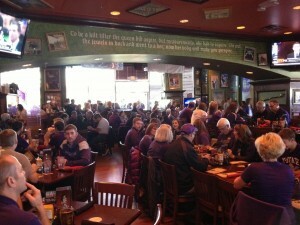 Wildcat fans gather at the Tilted Kilt in Phoenix for the Fiesta Bowl in 2012. The Tilted Kilt will be open early on the 26th with a full menu of burgers, sandwiches, wings, and entrees, plus an awesome beer selection for pregame. 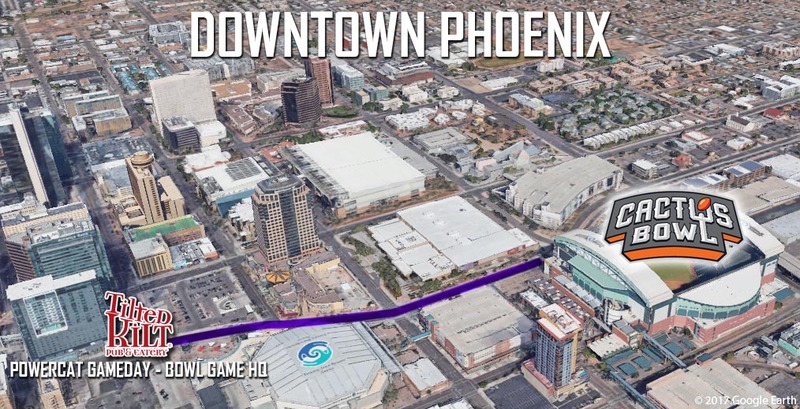 Get to the Tilted Kilt located in CityScape, for the live bowl broadcast of Powercat Gameday starting at 3pm Mountain time, and then walk just a few blocks to Chase Field for the Cats vs. the Bruins. K-State nation, it’s bowl time, we’ll see you in downtown Phoenix at the Tilted Kilt Pub and Eatery!